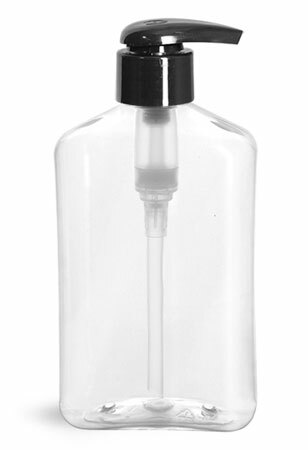 These clear PET oblong bottles include black smooth lotion pumps. Each lotion pump dispenses 2 cc of liquid with each stroke through a metal-free fluid pathway. 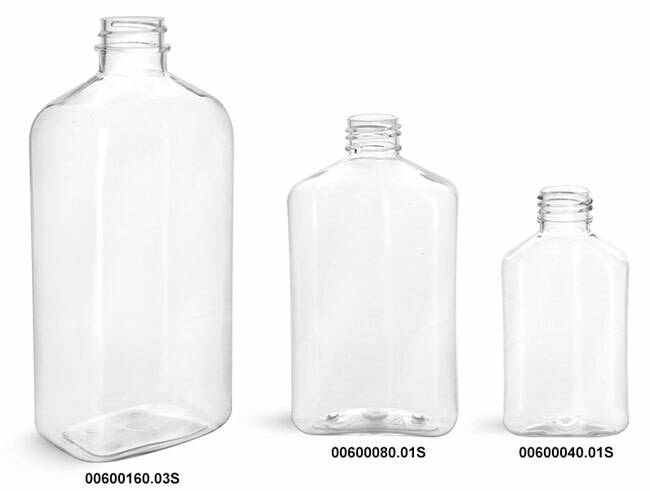 These clear plastic bottles could be an elegant packaging solution for many high viscosity products such as liquid soap, shampoo, hand cream and more!